Picture of R.D. Laing taken in 1983 in Stockholm onboard Axel Jensen's ship Shanti Devi. Taken by Robert E. Haraldsen. Ronald David Laing, or R.D. Laing as he was known professionally, (October 7, 1927 – August 23, 1989), was a British psychiatrist who wrote extensively on mental illness, particularly psychosis. The development of his unorthodox views stemmed from early professional outrage with some of the practices he considered inhumane. Influenced by phenomenology and existential philosophy, his views went against the psychiatric orthodoxy of the time when he took the communications of the patient as representing valid descriptions of their reality rather than as symptoms of some separate, underlying disorder. Although Laing was associated with the anti-psychiatry movement, like many of his contemporaries also critical of psychiatry, he himself rejected this label. His work on humane ways to treat psychotic patients made a significant contribution to the ethics of psychology. Ronald David Laing was born at 21 Ardbeg Street in the Govanhill district of Glasgow, Scotland as the only child of David Park McNair Laing and Amelia Elizabeth Laing. They were a quiet, Presbyterian, lower middle class family. From his own autobiography, he had few friends as a child and the tensions in his family were monumental (Laing 1985). Both his parents openly detested their own fathers. His father fought fiercely with his own father sometimes causing injury, and on occasion this occurred in front of little Ronald (Laing 1976). David’s relatives never approved of Amelia. His mother Amelia was a complex woman with very odd behaviors. For an unknown reason, she concealed her pregnancy up until the day of Ronald’s birth. Laing wrote that after his birth her decline was rapid. Observations by Laing and his aunt Ethel, the sister of his father, indicated that Amelia was prone to character assassination and quite devious. She would undertake circuitous routes to avoid being in the neighborhoods of people alleged to have ill-will toward her, even when she did not know them. When Laing was world famous, for reasons known only to her, she had the tragic habit of sticking pins in her “Ronnie” doll, fashioned after her son. Laing’s father, David, was more upbeat in comparison. David Laing took great pride in being an engineer in the Royal Tank Corps and Royal Air Corps, and he worked on various military applications. In later years, David came to loathe the military, but was quite resourceful in creating meaning in his life. He was the principal baritone for the Glasgow University Chapel choir. He had a special love for Italian opera and Victorian ballads and was known to entertain Ronald’s friends with various musical singalongs and games. At these gatherings, Ronald often played the piano with professional skill, although music remained only a pastime throughout his life. He received his license for piano from the Royal Academy of Music when he was fourteen years old. In that same year he decided to read everything in the encyclopedia from A to Z, and became very widely read, specifically working through Nietzsche, Husserl, Heidegger, Sartre, Merleau-Ponty, Jaspers, Wittgenstein, and Camus (Laing 1985). Laing entered the University of Glasgow when he was seventeen, and studied medicine, later specializing in psychiatry. He was an army psychiatrist from 1951 to 1953, where he found he had a particular talent for communicating with mentally distressed people. The Korean War had scuttled his ideas of studying with Jaspers at Basel, and as an army psychiatrist his chief task was to differentiate the soldiers who were truly disturbed from those simply trying to avoid their duty to serve. Some of the policies enraged Laing, who felt they were often cruel, unnecessary, and unproductive in healing the patients. In spite of rigid prohibitions on communicating with patients, he found novel ways to develop rapport. He devised a method of sitting quietly with patients in their padded cells, and did not demand anything from the patients, accepting both silence and speech. He did not interrogate them as a conventional psychiatrist would have. He maintained this non-threatening posture in order to allow the patients to open up and express themselves freely. Laing felt that their experiences had validity, and it was important to understand and feel what they were feeling in order to understand their immense fear, misery, and confusion. He felt that they could be understood just as they were, and that their self-reports had meaning if given a chance. Thankfully, his superiors took this as a systematic research effort, which is exactly how Laing looked at it. In 1953, Laing left the army and worked at Gartnaval Hospital near Glasgow. He worked with Ferguson Rodger, a psychiatrist who was quite interested in new approaches and who gave him much encouragement. This is where he started the idea of living together with his patients, and began to get surprisingly good results. 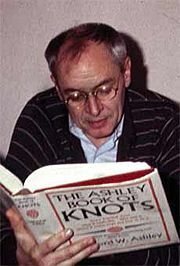 During this period he also participated in an existentialism-oriented discussion group in Glasgow, organized by Karl Abenheimer and Joe Schorstein. During the late 1950s he went on to study at the Tavistock Clinic in London, widely known as a center for the study and practice of psychotherapy (particularly psychoanalysis). At that time he was associated with D. W. Winnicott and Charles Rycroft, and later John Bowlby. He wrote the manuscript of his first book, The Divided Self while a student there. Due to his frustration with traditional psychoanalysis and his unconventional approach, involving the inclusion of phenomenology and existentialism into psychiatry, Laing's graduation from the London Psychoanalytic Institute was to be delayed one year. However, with intercession from his clinical supervisors, he graduated on time in 1960. In the 1960s, Laing continued his research and published his most influential books. His work continued to be unconventional, including sessions that involved LSD therapy. He also became known in the popular media, making several television appearances. In 1965, Laing started a psychiatric community project at Kingsley Hall. During this period, his first marriage to Anne Hearne disintegrated, leaving him free to further his experiments in which therapists and patients lived together. During this period he became close friends with Norwegian author Axel Jensen, and Laing often visited him on board his ship Shanti Devi in Stockholm. While still at Kingsley hall, he wrote his most popular book, The Politics of Experience, which Erich Fromm criticized for considering adaptation to society as a criterion of mental health. Laing attended a two-week conference on the Dialectics of Liberation with most of the contemporary left-wing thinkers and activists. This left him somewhat disenchanted with politics. It is no wonder that in his next book, Knots, he eschewed politics entirely. After Kingsley Hall closed in 1970, Laing took his companion Jutta Werner and their two children to Sri Lanka and India to study Theravada Buddhist meditation. Half of that time was spent in the Uttar-Pradesh area of India with Swami Gangotri Baba, who remained largely silent and half naked in a wooded valley. Laing's son, Adrian, recorded this as a time not only spent in meditation but also in increased drinking. He returned to London, and then did a lecture tour of the United States in which he also appeared on television. In trying to work out a new approach, he ceased to break new ground and merely re-worked current theories of re-birthing from Otto Rank, Elizabeth Fehr, and others. His next two books were not as popular. Although Jutta and he married in 1971, by 1981 their marriage was dissolving. He alleged she had had an affair, and a very messy divorce ensued. After the death of a close associate, his personal problems intensified. The next year the Philadelphia Association refused to continue endorsing Laing as their chairman, as they felt some of his behavior and his re-birthing approach were out of step with their work. In the 1980s, Laing launched into various auto-biographical works that were often full of omissions and errors. He was troubled by his own personal problems, suffering both from episodic alcoholism and clinical depression, although he reportedly was free of both in the years before his death. In 1985, he joined with his former secretary, Margarite Romayn-Kendon, who remained his companion the rest of his life. They moved to Going, Austria in 1987. In August 1989, on a very hot day, the fiercely competitive Laing succumbed to a massive heart attack while playing tennis. It is rumored that he was winning. Laing argued that the strange behavior and seemingly confused speech of people undergoing a psychotic episode were ultimately understandable as an attempt to communicate worries and concerns, often in situations where this was not possible or not permitted. His view can be seen as similar to Gregory Bateson's theory of schizophrenia as stemming from "double bind" situations, with which Laing was familiar. Laing stressed the role of society, and particularly the family, in the development of madness. He argued that individuals can often be put in impossible situations where they are unable to conform to the conflicting expectations of their peers, leading to a "lose-lose situation" and immense mental distress for the individuals concerned. Madness was therefore an expression of this distress, and should be valued as a cathartic and transformative experience. This view was in stark contrast to the psychiatric orthodoxy of the time, and is still contrary to the majority opinion of mainstream psychiatry. Psychiatrist and philosopher Karl Jaspers had previously pronounced, in his seminal work General Psychopathology, that the content of madness, and particularly of delusions, were "un-understandable," and therefore were worthy of little consideration except as a sign of some other underlying primary disorder. Laing was revolutionary in valuing the content of psychotic behavior and speech as a valid expression of distress, albeit wrapped in an unusual personal symbolism. According to Laing, if a therapist can better understand the person, they can begin to make sense of the symbolism of their madness, and therefore start addressing the concerns that are the root cause of their distress. It is notable that Laing never denied the existence of mental illness, but simply viewed it in a radically different light from his contemporaries. For Laing, madness could be a transformative episode whereby the process of undergoing mental distress was compared to a shamanic journey. The traveler could return from the journey with important insights, and might even have become a wiser and more grounded person as a result. Laing's research linked the development of psychosis to family background. Despite supporting evidence, this generated significant controversy and the influence of parents who felt "blamed" for a child's diagnosis of schizophrenia accounts for much of Laing's unpopularity in many circles. In fact, such blame was an inappropriate attribution by commentators who had not grasped the breadth of his view of the nature of pathogenesis in families. Laing maintained throughout his career that parents are equally mystified and unaware of the disturbed nature of the patterns of communication. Laing developed a phenomenological methodology that involved utilizing rigorous scientific principles in the examination of internal process. In the phenomenological approach, self report is assumed valid and then must be proved through the subsequent events, as opposed to the more materialistic approach of first requiring data that can be measured in the physical world. In The Divided Self, Self and Others (1961) and The Politics of Experience (1967), Laing reproached Freud and his followers for aligning psychoanalysis with the natural sciences in order to secure a measure of respectability for the new discipline. In its place, he proposed a rigorous "science of persons,” or an "interpersonal phenomenology" that, while allowing for the existence of the unconscious, owed as much to Hegel, Kierkegaard, Husserl, Heidegger, Buber and, above all, Sartre, as it did to Freud and his followers. Laing was regarded as an important figure in the anti-psychiatry movement, along with David Cooper and Michel Foucault. However, like many of his contemporaries, labeling him as "anti-psychiatry" was a caricature of his stated views. Laing never denied the value of treating mental distress, but simply wanted to challenge the core values of psychiatry, which considered mental illness as primarily a biological phenomenon and that the thoughts and images of patients had no intrinsic value in understanding and assisting the healing process. In The Divided Self, Laing explained how we all exist in the world as beings, defined by others who carry a model of us in their heads, just as we carry models of them in our heads. Our feelings and motivations derive very much from this condition of "being in the world" in the sense of existing for others, who exist for us. In later writings he often took this to deeper levels, laboriously spelling out how A knows that B knows that A knows that B knows… Without this, we suffer "ontological insecurity," a condition often expressed in terms of "being dead" by people who are clearly still physically alive. This may explain why in some biographical material, Laing said his mother died when he was fifteen, as she did not die literally at that time. Sanity, Madness and the Family contains accounts of several families, analyzing how their members see each other and what they actually communicate to each other. Laing used the term "family nexus" to describe the consensus view within the family to which all members expected to adhere. He claimed that this nexus is a powerful determinant of individual mental health. The startling way in which lies are perpetuated in the interest of family politics rings true to many readers from "normal" families, and Laing's view is that in some cases these lies are so strongly maintained as to make it impossible for a vulnerable child to be able to determine what truth actually is, let alone the truth of their own situation. This was the basis for his approach to psychotherapy, as in the case of his most famous patient, Mary Barnes, a professional nurse who entered Kingsley Hall in 1965. She was exceptionally articulate and helpful in substantiating Laing's claims, and her case seemed to prove the importance of family nexus. In some of Laing's writing he apparently extended the concept of family nexus to the society, as Andrew Collier pointed out in his book, The Philosophy and Politics of Psychotherapy. In a strand of thinking traceable to Marx, Laing condemned society for shackling mankind against its will, taking away individual freedom. Left to his own devices, man is healthy, and the mad are just trying to find their way back to their natural state. However, Laing did not develop this societal continuation of family nexus in his later work, and so it is unclear what his ultimate view of the impact of the greater society is on psychosis. In The Divided Self, Laing exposed the family nexus as often placing children in a "double bind," where they receive conflicting injunctions from family members. Yet it is the very need for ontological security, which should come from within the family that is the driving force that builds societies. Laing did not "blame" family members, rather he pointed out that they are in turn victims of their own family. He failed, however, to get to the bottom of the problem and find a way out for his patients. Freud, by comparison, not only recognized the repressive effect of society, especially in his later works like Civilization and its Discontents, but also sought to strengthen his patients' ability to cope with this. However, neither Laing nor Freud appeared willing to tackle the issue of the good and bad nexus, whether on the family or societal level. The real double bind, Collier seemed to suggest, is that we all need to exist in a nexus, but sometimes the only one we have is one in which we cannot continue to exist. R. D. Laing's work over the years changed as his interests led him from one aspect to another of the problems of personal happiness and mental health. One could say that this was his response to his difficult early family life, which probably helped him form his approach that rejected dogmatic adherence to a dysfunctional status quo, and to be open to innovate with less than orthodox methodology. Laing's view of psychosis as an expression of the reality experienced by his patients is not only innovative but also intriguing. He believed that psychosis is an experience of a reality that differs from the "normal" reality experienced by the "sane" members of society, a kind of journey into a different realm. For those who take his view seriously, it implies that others could take that same journey and possibly broaden the understanding of human existence. However, Laing failed to clarify the exact nature of this different realm, how to enter it, and how to leave it. His attempts to characterize the family nexus as the source of entry into this realm leave readers as mystified as the family members themselves as to how such a situation developed and how to resolve it. His advocacy of empathy with those with psychosis, and the necessity of kindness and authenticity from the therapist, put great responsibility upon the therapist, one he seemed to shoulder with great personal courage, although later in his career he no longer seemed able to do so. He succumbed to his tendency to alcoholism and was forced to resign from the Philadelphia Association, eventually losing his license to practice medicine due to his unprofessional conduct. Laing was, and still is, extremely controversial. Many wanted to dismiss him as being as crazy as his patients, yet other respected professionals still defend him to the end. The quality of his work in the later part of his life was simply odd. His personal problems and biographical omissions, errors, and oblique references, that were very hard to understand, undermined his previous credibility. His lack of innovation toward the end of his career also diminished his reputation. Still, he left a substantial legacy and significant impact on psychology. Laing's work focused on the understanding and treatment of psychosis, but his legacy is much broader. His most enduring and practically beneficial contribution to mental health is his co-founding, in 1964, and chairmanship of the Philadelphia Association, and the wider movement of therapeutic communities that adopted more effective and less confrontational psychiatric settings. His introduction of empathy and involvement by the therapist continues to impact psychological thought and practice. This was a drastic change from the previous view of "scientific" distance and impartiality as necessary. Laing advocated that a therapist must be unequivocally in favor of the well-being of the patient, and that the patient must recognize this in order for any therapy to be effective. The ability to measure results in the physical world had become the mantra of all science in the twentieth century. Thus, the anecdotal methodology of phenomenology had no place in such intellectual circles until Laing's rigorous personal methodology and application of scientific principles brought the substantiation necessary to make it viable within psychology. Laing was very opposed to the over-extensive usage of surgical and electro-shock treatments. His publicizing of the possibility of other treatments helped research into more humane treatments. He did however, support the usage of various pharmacological treatments to help patients recover, which no doubt led to increased usage of drug therapy for psychosis. He connected the importance of personal thought and mental illness, which influenced the development of trends in life-coaching and marriage education (as opposed to therapy). Laing's personal search in meditation and Eastern philosophy also stimulated exploration into other methodologies to improve mental health. Laing was a valiant pioneer in efforts to humanize treatment of the mentally ill, and, although suffering personal difficulties that ultimately affected his work and his credibility, his empathetic understanding of the importance of the complex network of human relationships struck a chord and was the right thought at the right time. His legacy lives on, and his work continues to be discussed and debated widely. Laing, R.D. 1960. The Divided Self: An Existential Study in Sanity and Madness. Harmondsworth: Penguin. Laing, R.D., and A. Esterson. 1964. Sanity, Madness and the Family. London: Penguin Books. Laing, R.D., and D.G. Cooper. 1964. Reason and Violence: A Decade of Sartre's Philosophy, 2nd ed. London: Tavistock. Laing, R.D., H. Phillipson, and A.R. Lee. 1966. Interpersonal Perception: A Theory and a Method of Research. London: Tavistock. Laing, R.D. 1967. The Politics of Experience and the Bird of Paradise. Harmondsworth: Penguin. Laing, R.D. 1969. Self and Others, 2nd ed. London: Penguin Books. Laing, R.D. 1970. Knots. London: Penguin. Laing, R.D. 1971. The Politics of the Family and Other Essays. London: Tavistock. Laing, R.D. 1976. Do You Love Me? An Entertainment in Conversation and Verse. New York: Pantheon Books. Laing, R.D. 1976. Sonnets. London: Michael Joseph. Laing, R.D. 1976. The Facts of Life. London: Penguin. Laing, R.D. 1977. Conversations with Adam and Natasha. New York: Pantheon. Laing, R.D. 1982. The Voice of Experience: Experience, Science and Psychiatry. Harmondsworth: Penguin. Laing, R.D. 1985. Wisdom, Madness and Folly: The Making of a Psychiatrist 1927–1957. London: Macmillan. Mullan, B. 1995. Mad to be Normal: Conversations with R.D. Laing. London: Free Association Books. Boyers, R., and R. Orrill, eds. 1971. Laing and Anti-Psychiatry. New York: Salamagundi Press. Burston, D. 1996. The Wing of Madness: The Life and Work of R. D. Laing. Cambridge, MA: Harvard University Press. Burston, D. 2000. The Crucible of Experience: R.D. Laing and the Crisis of Psychotherapy. Cambridge, MA: Harvard University Press. Clay, J. 1996. R.D. Laing: A Divided Self. London: Hodder & Stoughton. Collier, A. 1977. R.D. Laing: The Philosophy and Politics of Psychotherapy. New York: Pantheon. Evans, R.I. 1976. R.D. Laing, The Man and His Ideas. New York: E.P. Dutton. Friedenberg, E.Z. 1973. R.D. Laing. New York: Viking Press. Kotowicz, Z. 1977. R.D. Laing and the Paths of Anti-Psychiatry. London: Taylor & Francis. Miller, G. 2004. R.D. Laing. Edinburgh: Edinburgh University Press. Laing, A. 1994. R.D. Laing: A Biography. New York: Thunder's Mouth Press. Mullan, B. 1999. R.D. Laing: A Personal View. London: Duckworth. Mullan, B., ed. 1997. R.D. Laing: Creative Destroyer. London: Cassell & Co.
Raschid, S., ed. 2005. R.D. Laing: Contemporary Perspectives. London: Free Association Books. Russell, R., and R.D. Laing. 1992. R.D. Laing and Me: Lessons in Love. New York: Hillgarth Press. Did You Used to be R.D. Laing? (1988). A documentary by Tom Shandel and Kirk Tougas mainly consisting of a series of lectures and interviews conducted at Simon Fraser University in Canada. All links retrieved July 22, 2014. History of "R. D. Laing"
This page was last modified on 22 July 2014, at 22:17.